The Tokyo University of the Arts University Hall is a general-use facility for the benefit of students and faculty. It is housed in a two-story reinforced building. The ground floor contains common-use rooms for student associations. The Hall contains daily amenities for staff and students at the university, such as a dining room, cafeteria, and shops. 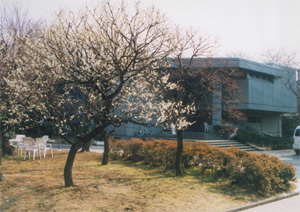 In addition, it contains assembly rooms, Japanese-styled rooms, and exhibition rooms for common use by students and faculty members for group meetings, exhibitions, and various other events.